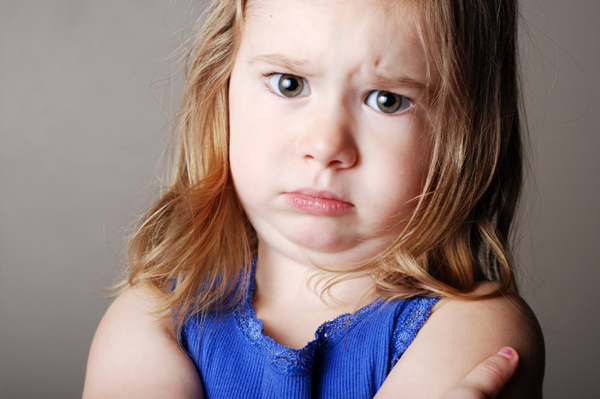 Can you stop your kid’s manipulative, self-centered, rude ways and change their annoying, bad attitudes? Attitudes are learned, so they can be unlearned and stopped — if parents use a few simple behavior principles. Here are some life changing strategies. Start by choosing a reoccurring kid attitude, but make sure it’s something you can change. For instance: Her guaranteed meltdown at grandmas. Her selfish sense of “entitlement.” His annoying attention-getting whine. Then pick one — no more than two — problems to work on at a time. Your goal is to change your kid’s attitude — so you need to see the outcome. So think positively: Not “My family will stop yelling,” but “We’ll all talk calmer.” If you think positively you’ll be more likely to stick to your goal because you’ll see what the new attitude outcome looks like. What have you been doing so far that hasn’t worked? So what will you do instead? For instance: Your kid uses a whiney voice to get her way. So far, you give in. Your new plan: You will not respond to any whiney voice. Keep in mind: the more specific and realistic the plan, the more likely the change. Set your goal into smaller more manageable parts. Not only will you keep trying with your makeover but you’ll also be more likely to change the kid’s bad attitude. Change occurs slowly, so you can lose sight of progress and think your plan isn’t working. So track the behavior each day – -sassing, whining, hitting — on a calendar. If the plan is good, you’ll gradually see the annoying behavior diminish and recognize change is happens. New behavior habits take a minimum of 21 days to change. So keep with your plan at least 21 days. Then celebrate your success — it will happen so don’t give up!